This is 2018 A.D. The whole market is occupied by smartphones with notches. The whole market? No. A small group of manufacturers still resist the notch trend. We present below 7 high-end smartphones refuse to follow fashion and jump on the notch bandwagon. It's not just a Chinese trend. At a time when even the Google Pixel 3 looks like it will imitate the iPhoneX's notch, that little display cutout looks to become a worldwide phenomenon. But if you want a top of the range phone that won't commit this aesthetic offense, there are still plenty of good options. The first that comes to mind is Apple's great rival, Samsung. Samsung's image and popularity give it its own character and distinguish it from the (vast) majority of its competitors by not offering a notch. The latest flagship, the Galaxy S9 offers us a device that excels on almost every level: the screen is quality, the performance is excellent, and the camera has proven its worth. Samsung offers a nice range of technical features with this flagship (AR emojis, 960 fps recording, etc), we also find the Bixby home assistant (not unanimously popular, we admit) and the option to use the DeX to have the smartphone screen on the big screen. Those of you who need some more size and power (and have a little more money to spend) might also consider the Samsung Galaxy S9+. In addition to its larger screen (6.2 inches instead of 5.8 inches) which is aimed at multimedia enthusiasts, the Galaxy S9+ also puts more emphasis on photography because its dual camera contains a telephoto lens that allows a 2x optical zoom and of course a nice Bokeh effect. For the rest, the Galaxy S9+ offers almost the same technical specs, except of course the capacity of the battery because the larger size allows to shelter a larger battery, thus making it possible to feed a larger screen. Another notable exception is the amount of RAM that can reach 6 GB on the large model. Samsung Galaxy S9+ review: bigger but how much better? The latest from Xiaomi still isn't available in the US, but this Chinese company has its sights set on the American market in the future. 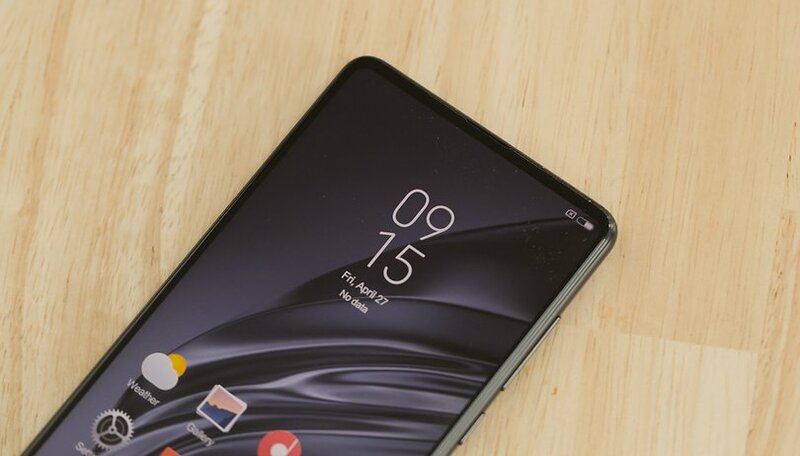 The Xiaomi Mi Mix 2S deserves special mention for integrating the bezel-less display without resorting to the notch. This smartphone is simply excellent. It makes a faultless impression on almost all points (unique design, good performance, very good camera, etc.). True to form, Xiaomi also offers a good price/quality ratio on the device, and it could be worth it even if you have to import it. Currently head of the Mate family range, the 10 Pro is a phablet from last year that still holds its own against the current generation. It uses the same hardware as the latest Huawei and Honor smartphones, namely the Kirin 970 SoC and its artificial intelligence chip. Of course we find a bezel-less screen and no notch (hence its presence in this list), which will delight all users. Here too, the camera is of good quality, especially in terms of software retouching after the shot. US buyers could always import P20 Pro with no valid regional warranty if they want the latest and greatest Huawei, but the GSM unlocked Huawei Mate 10 Pro officially sold by Amazon, Best Buy, Newegg and B&H would be a better deal, especially since the price has dropped to around $550, well below the launch price of $800. This smartphone may not be the latest LG, but it is the last one not to offer a notch since the LG G7 ThinQ decided to adopt the trend (which can be software hidden). The V30 exists in two versions, the second being simply a model improved by artificial intelligence. The LG V30 is available on Amazon for under $500, which isn't quite as good a quality/price ratioas the Xiaomi Mi Mix 2S, but it is still a quality smartphone that will meet all user expectations thanks to its high-end components (such as the Snapdragon 835 SoC). But if you want more modern hardware you will have to turn to the competition. I will never buy a phone with a display notch. The Honor View 10 has been available for purchase since December so it is not one of the newest options, but that does not prevent it from being very competitive. It also uses the Kirin 970 SoC, which guarantees not only excellent performance but also the presence of artificial intelligence for assistance in photography and computing. The Honor View 10 lacks some features that are almost always found on top of the range (mainly the IP67/68 certification), but it has the merit of having no notch and to offer a mini-jack and dual SIM functionality. Currently, the device is accessibly priced at $499. Will HTC ever get the recognition it deserves in the mass market? The Taiwanese company has rarely been on the lips of salespersons due to poor carrier distribution and lackluster marketing, that doesn't stop them from making quality top-range smartphones that refuse to bow down to the notch trend. The HTC U11 Plus was one of our favorite smartphones of the last year, and the sequel hasn't disappointed in our initial tests. For your money, you get a top-notch device without the actual notch on top. Powerful hardware, fantastic sound, great design and a very decent camera too. Sony may have redesigned its Xperia line of smartphones, but one thing the Japanese company won't do is bow down to fashion. If you're looking for a notch-less flagship smartphone, the Sony Xperia XZ2 is a fantastic all-rounder: comfortable in the hand, fast and responsive software, great battery life and lightning-quick charging, the new Xperia has a lot to offer. The XZ2 may lack the flashier gimmicks of its notched competition, but won't let you down in your daily smartphone tasks. The Xperia range also has another unique advantage: it is practically the only option for buyers who want a premium, top-end device in a compact size, namely the XZ2 Compact, which packs all the XZ2 goodness into a small package. How do you like your smartphones? Choose “With the notch” or “Without the notch”. Which is your favorite of the above phones? Do you have any to recommend for our list? It is THEIR not there. Learn to spell.